Q – I am new to the web development, how do I setup a personal web page or page for my company. A: Step 1) You have to register a domain name. Domain name can be anything you wish it to be. 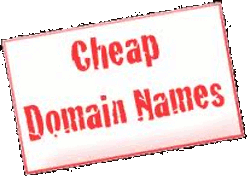 One thing is that a lot of good domain names are are already taken, so you will have to be creative. One example, if JohnSmith is taken, try John-Smith. Where do you go to register a domain? Follow the link below, we found them to be the cheapest, plus if you purchase from the link below, you will get a special sale price not available at their regular page. Step 2) One you register the domain name, give us a call or email us and we will help you setup your personal or business page. Proudly powered by Techno Guru.